A relay is a cool little box that has an electromagnetic switch in it. Relays have four to five wires. Ignore the fifth, red wire for now. Two wires you connect to a power (or ground) source you want to turn on / off. The other two wires you connect to a different powered source. When the other power source turns on, it turns on the relay switch. 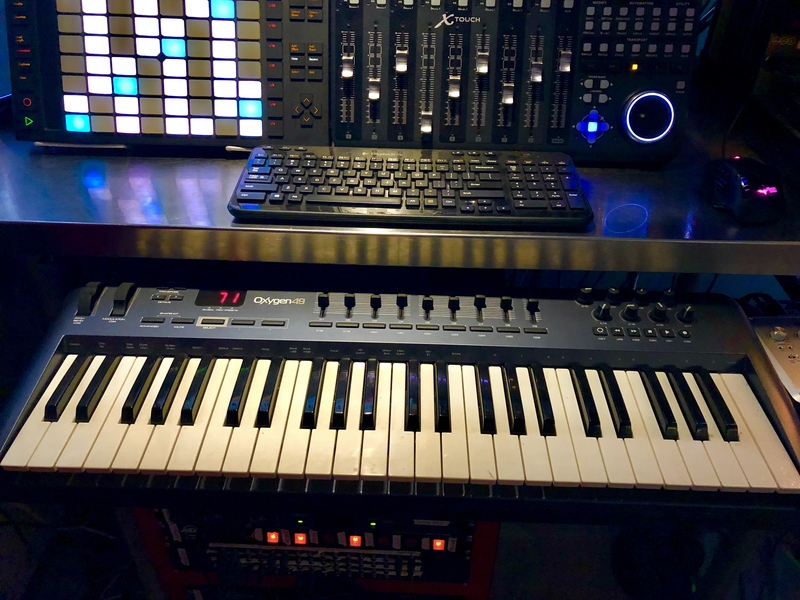 I’ve got a lot of different MIDI and audio devices working together. The issue involves MIDI. Currently, I got a Korg padKontrol, Behringer BCR2000, Tascam US-322, Behringer X-Touch, Ableton Push, M-Audio Oxygen49 and Behringer X-Touch Mini. Because there’s seven MIDI devices, after rebooting the Neocomp, I can’t get everything working together until I go through a process that includes power cycling (turning off and on) all MIDI devices except the padKontrol and US-322. I can power cycle all devices from switches except the Oxygen49 and the X-Touch Mini. Both of these devices are USB powered. This is a problem because the X-Touch Mini is installed in the rack so I can’t unplug it to power cycle it. And although the Oxygen49 has a switch behind it, it’s not easily accessible without lifting and pulling the keyboard out. 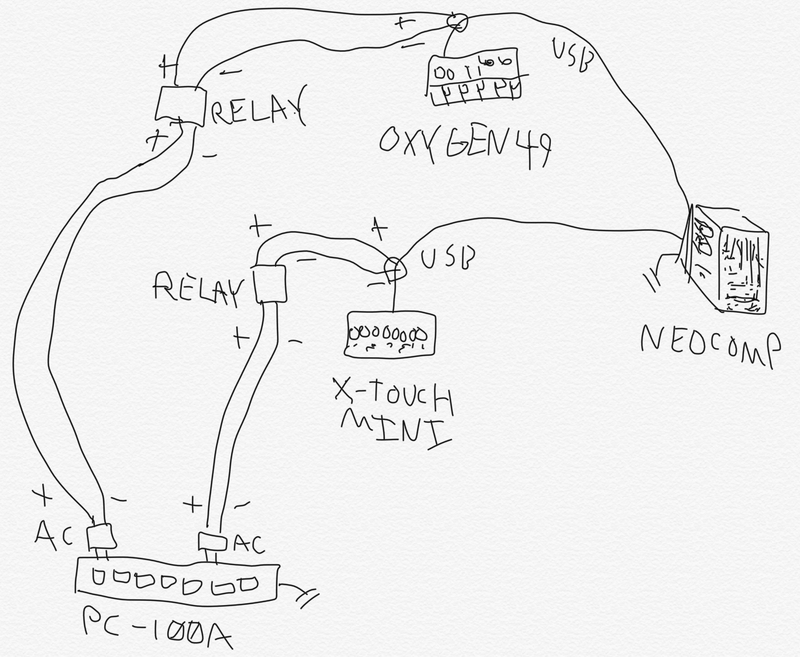 So I wanted to make it so I could power cycle the Oxygen49 and the X-Touch Mini from the rack easily. I thought about a lot of different options I could do. I wanted something that didn’t look too goofy and would work from the rack. A powered hub could have the power cut from the rack switches, but all the hubs I researched would still pass “bus power” (meaning the devices wouldn’t turn off). USB switches don’t have ergonomics that work (plugs would be exposed or would be blocked by rack hardware). I considered devices used for sharing USB devices between two computers (since some have remote switches that can be remote mounted), but they still weren’t ideal as they’re $30 or more, fastening a switch to the rack wouldn’t look the best and I wanted to control each device separately (meaning installing multiple devices). 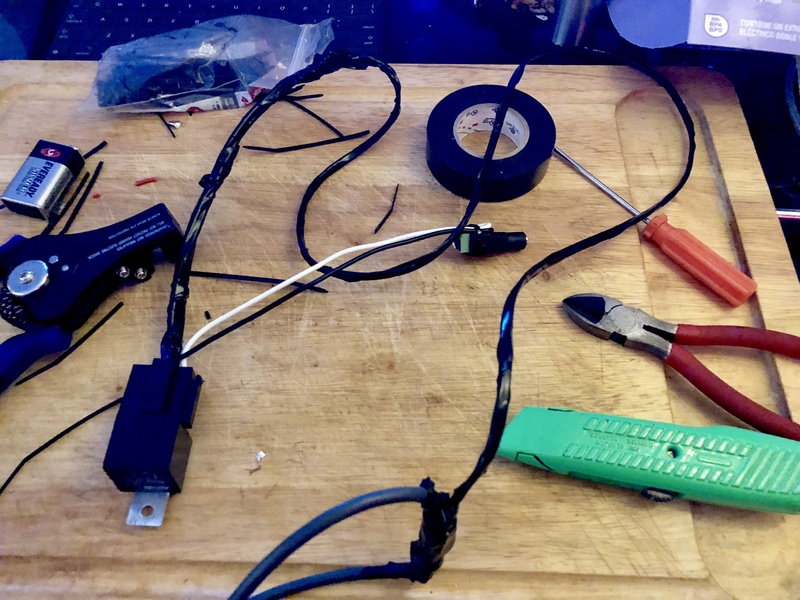 Since all I really wanted was to connect and disconnect the USB signal and do it in a way that worked in my current rack setup, splicing the USB wire makes sense. 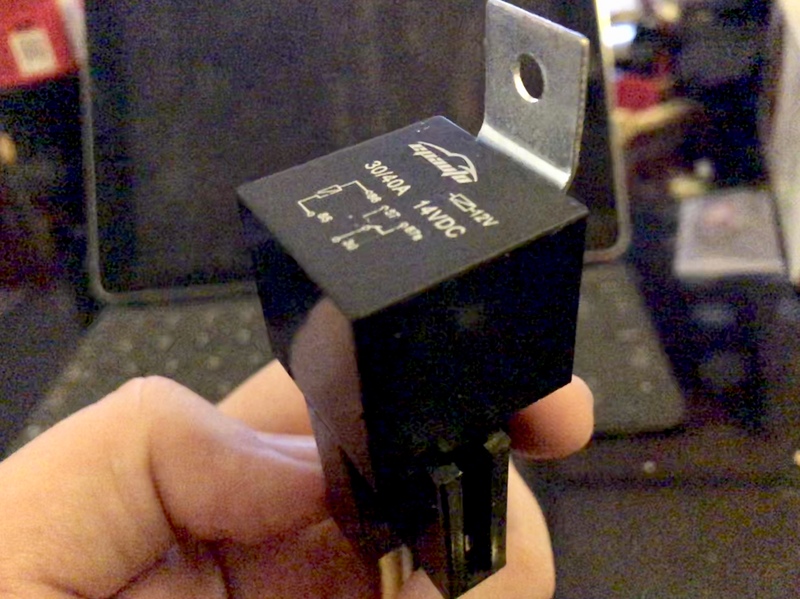 But instead of trying to fabricate a switch, I can use a relay connected to a power source that is plugged into one of the power switches of the PC-100A’s. This makes it so that these USB bus-powered devices can be turned on and off like all the rest of the hardware. This method is pretty cheap and requires some simple tools. It’s a good idea to sketch how you’ll wire things up. Here’s my brainstorming session when figuring out how I’d do this. 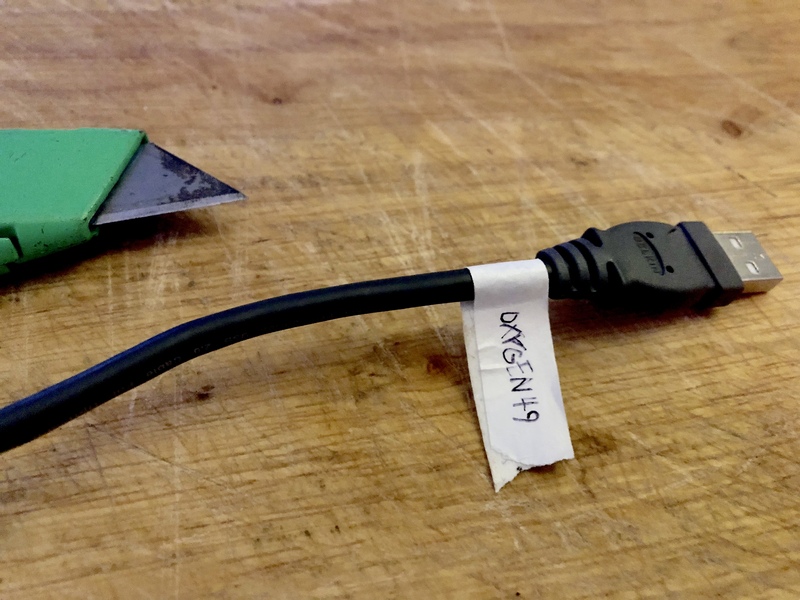 Start by cutting a slit into the USB wire. The internals for some wires may be a little different. The one I used had braided wire around it. I moved the braided wire aside. The interior was wrapped in foil on my wire, so I cut the foil off. Exposed will be a few different colored wires. 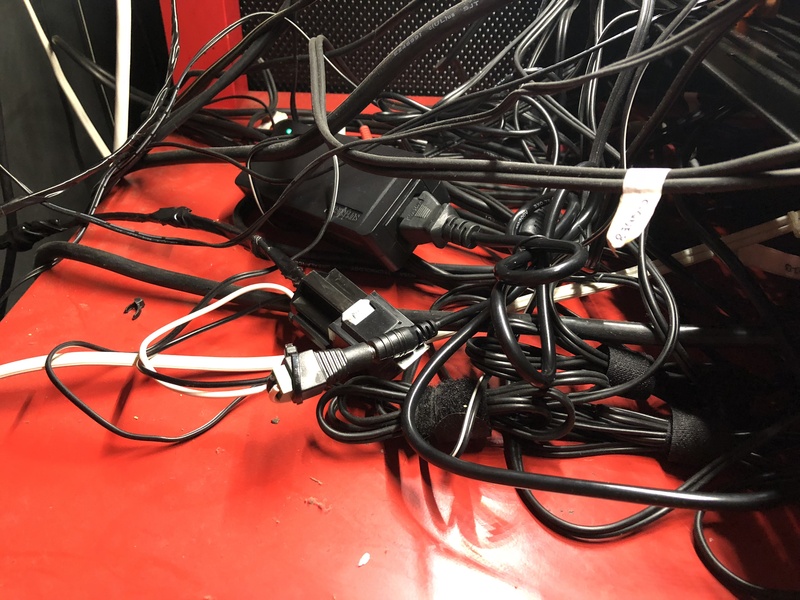 Cut the red wire. Strip the wire back. 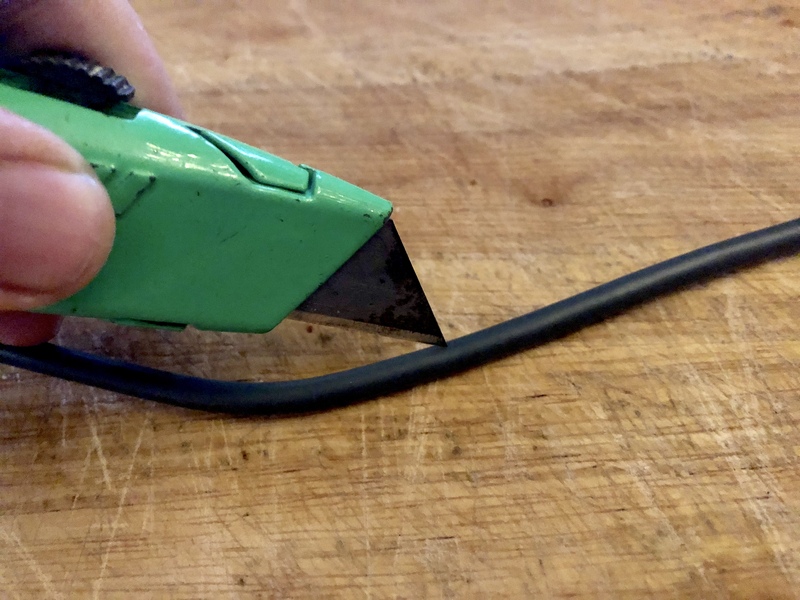 This wire was too thin to use wire strippers so I carefully stripped the wire back using the razor. 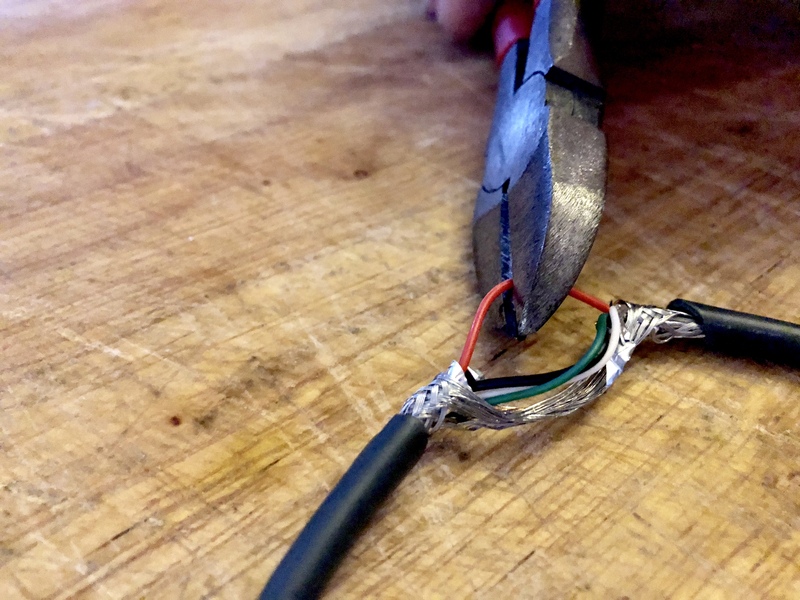 Splice the red wires to a long piece of wire (like I did in the picture at the top of this article). Then connect the wires to numbers 30 and 87 of the relay (any order). You can look on the bottom of the relay to see the numbers. On my relay plug, the colors are blue and yellow. Secure the wires. 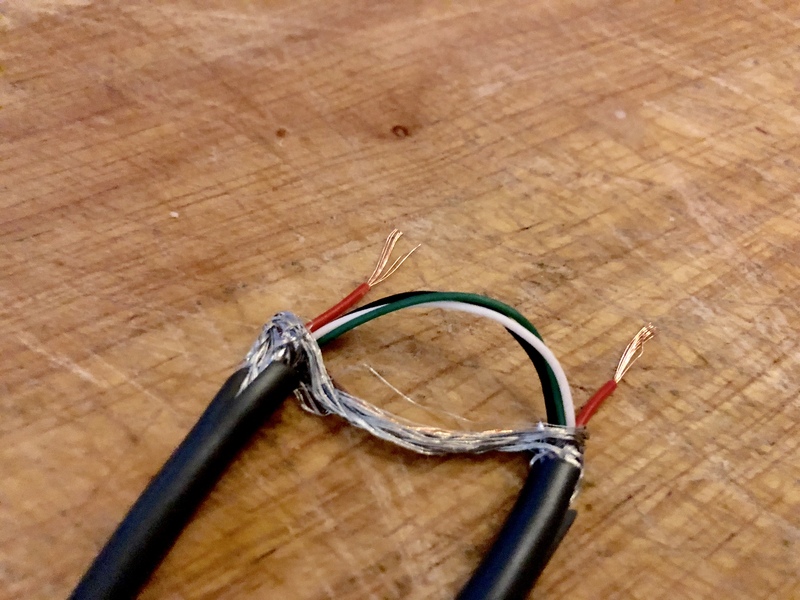 You can solder if you want, but I twisted the wires together, then use a zip tie on the twisted wires, tape it up then applied another zip tie to the end of the electrical tape. 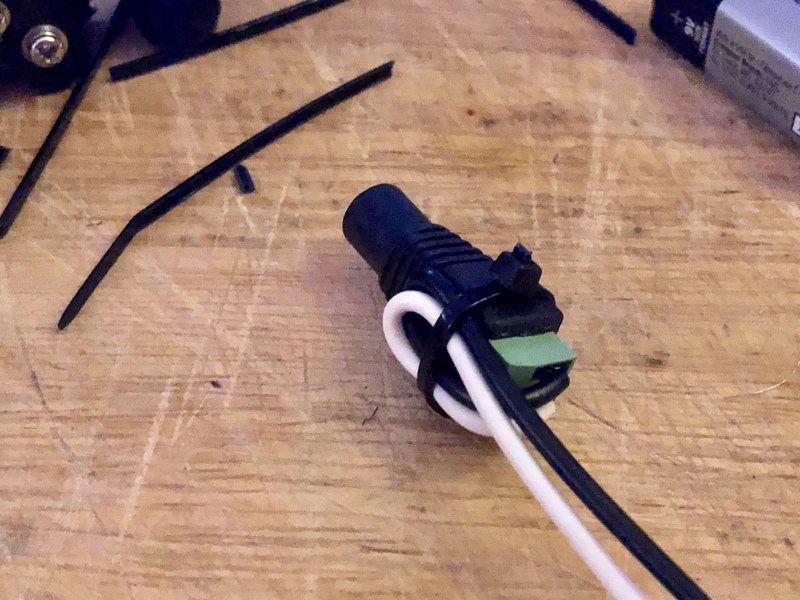 Many times I’ll fold wires onto themselves, then zip tie as it prevents wires from pulling on the connections. 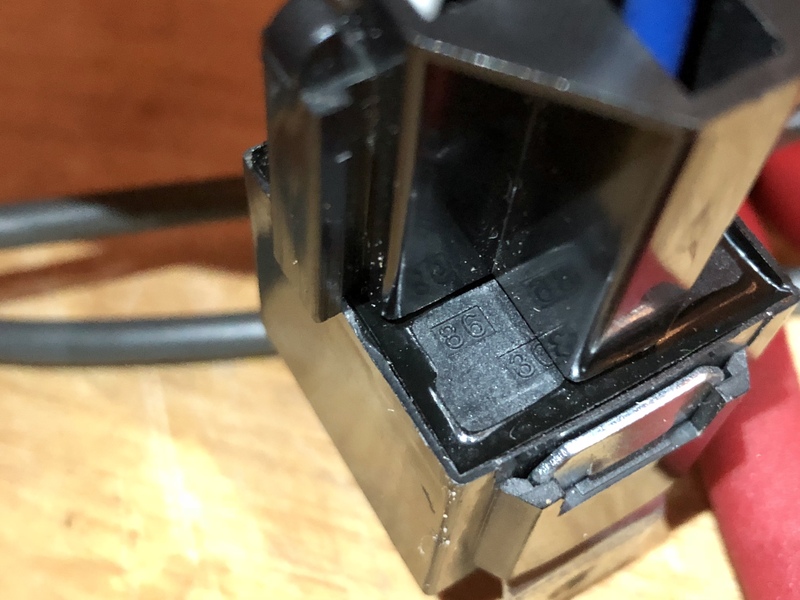 Connect your positive wire of your power supply to the 86 wire of your relay and the negative wire of your power supply to the 87 wire of your relay (or vice a versa). These were the black and yellow wires on my relay. 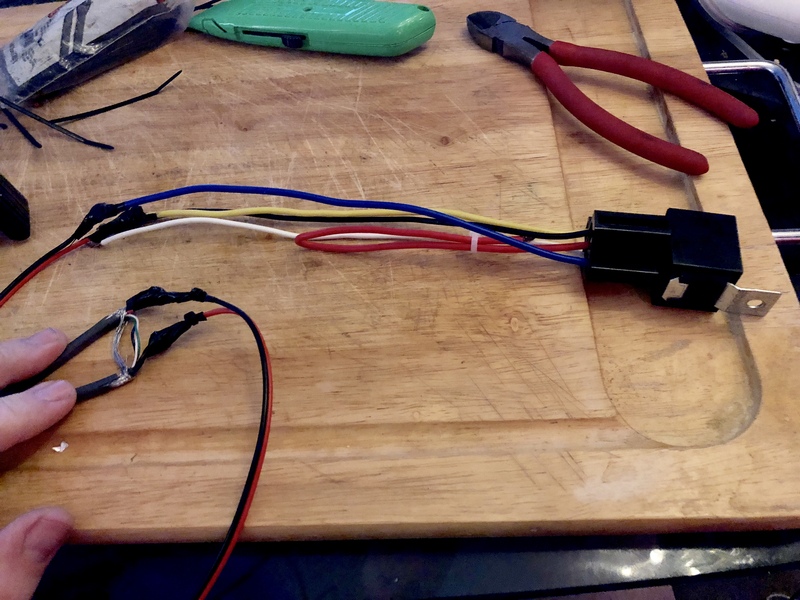 My relay and relay harness has a 5th (middle) pin / wire (87a) that isn’t going to be used, so I just zip tied it off. Test everything out. Once everything’s good, secure your final wiring by wrapping it with tape or whatever you want. It works perfectly for my setup. 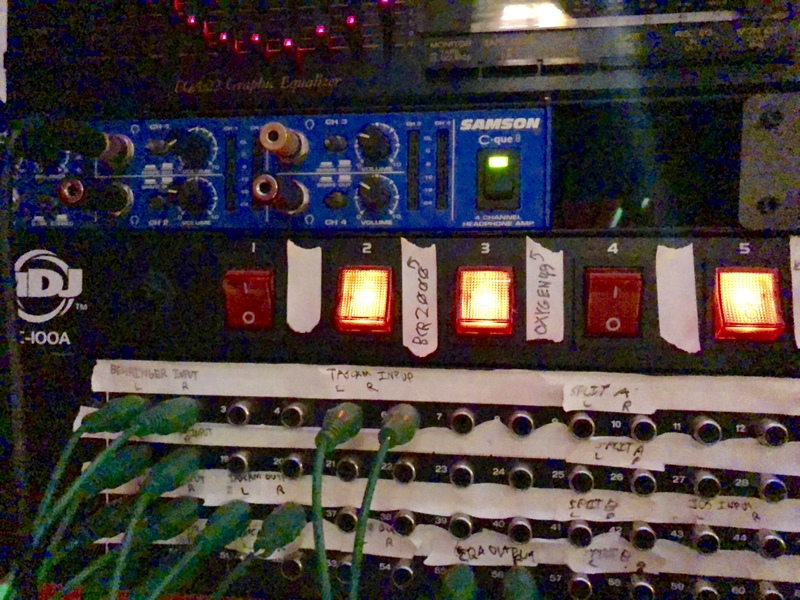 The relay and power source are at home behind the rack and the wire doesn’t pull on the USB cable. You can’t even see anything’s changed. Of course, the USB cable is meant to stay in the studio. When you take your device out of your studio / work area for travel or whatever, simply disconnect the cable and bring a spare USB cable to use. This relay really is an awesome modification to the studio.